Is Your Restaurant Business Ready to Grow? As the restaurant industry experts, our team of personal financial consultants specialize in providing the trusted lending services you need to keep your restaurant profitable and on track to achieve your long-term goals. It doesn’t matter if you’re a single-unit operator, a multi-unit operator, or a nationally recognized chain, we can help you capitalize on your business’ potential with access to the right restaurant financing products, and we do it fast. ARF Financial has a well-established track record of providing restaurant loans and a variety of financing solutions that meet your restaurant’s needs. Our focus is to get you the capital you need when you need it, while providing seasoned guidance to help you maximize your return on investment. Running a restaurant takes much more than just culinary skills. It also takes ongoing access to capital to remain relevant and profitable. Banks continue to tighten their lending requirements resulting in diminished access to restaurant loans. This means that many owners are forced into more expensive financing options such as merchant cash advances to make ends meet. Why is ARF Financial Different? Since 2001, ARF Financial has lent hundreds of millions of dollars to thousands of restaurant and hospitality business owners just like you! Our emphasis on close client relationships keeps your financial health at the forefront to ensure a high degree of customer satisfaction. We are experts in restaurants, hospitality, and small businesses. We forge deep relationships with every client and serve as their financial consultants through the lending process to answer critical borrowing questions. We are not loan brokers. We cut out the middle man, keeping your costs low. No collateral and minimal paperwork needed. Even if you have less-than-perfect credit or a spotty financial history, we have loans you can get approval for. Our relationships with banks can help you get approved for the best financing products for your needs at competitive rates. Flexible financing options mean loans and repayment agreements can be customized to your needs. What is a restaurant loan? A restaurant loan is a lending product designed specifically for owners and operators of a restaurant and other hospitality companies. A restaurant loan takes into consideration the unique needs of restaurants including seasonality, business model, partnership structure and timeliness of funding for emergencies such as kitchen repairs. Our restaurant loans are also used to retain equity or buy back equity from business partners. Some restaurant owners simply used as bridge financing until traditional financing is completed. 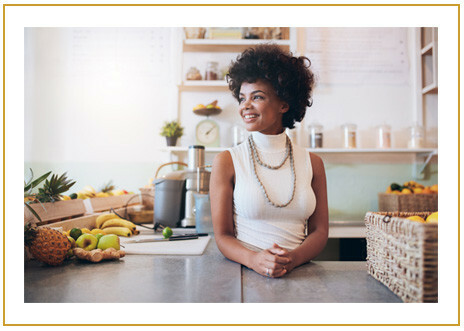 For over 17 years, ARF Financial has accommodated the unique needs of the restaurant and hospitality industry, offering restaurant loans in the form of lines of credit, flex pay loans, bridge loans and working capital loans. Restaurant loans from ARF Financial are available from $5,000 to $750,000. 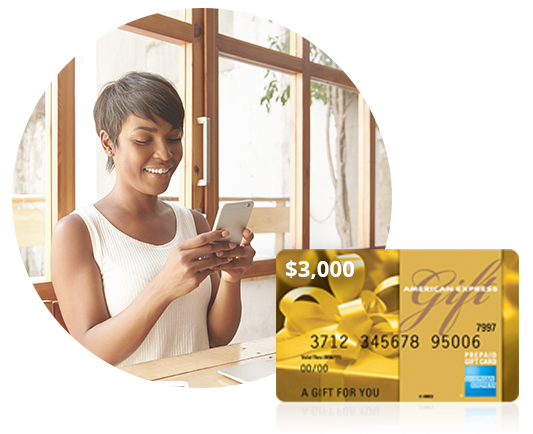 Our simple, 5-step restaurant loan quote allows instant approvals and funding in 3 days. This quote is free and does not impact your credit score. Our loan consulting team can also walk you through the many restaurant loan options available. Simply choose your state on the map and contact your local loan consultant for information on our restaurant loans. Who Needs A Restaurant Loan? Restaurant loans and restaurant financing are available to any restaurant owner who needs capital to fund projects such as equipment financing, inventory financing, building renovations, restaurant expansions, upgrading computer systems, paying off outstanding debt, buy out a business partner, liquor licenses, other licenses, pay for franchise obligations, signage, adding catering services, revamping restaurant menu and bar options, marketing and advertising, buying a new restaurant location, stabilizing cash flow for emergencies and opportunities. These are just a few recurring reasons restaurant owners choose ARF Financial first. Smart restaurateurs are choosing our restaurant loans because there is no collateral required, rates are low, the terms are flexible, and payments are fixed. These restaurant loans are not tied to your credit card receipts which means you have access to a working capital cushion that is available for any business opportunity, repairs or for cash flow needs. A merchant cash advance is not a restaurant loan. It is a form of factoring where a financial services company buys your future credit card sales at a discount, typically up to 38%, and then electronically debits a percentage of your daily credit card receipts until the agreed upon amount has been paid back. The problem? As shown in the graph, the more money you make, the faster they get paid back, thus raising the cost of funds to your business significantly. Restaurant owners, like many small businesses, are constantly being offered cash advances by their credit card processors. However, with many cash advances, your payment can change each week, or even daily, based upon your sales. While merchant cash advances appear to be a quick and easy option for busy restaurant owners, a restaurant loan is actually just as quick and cost way less in the long run. ARF Financial offers fixed, weekly payments that never change – great for budgeting and cash flow. 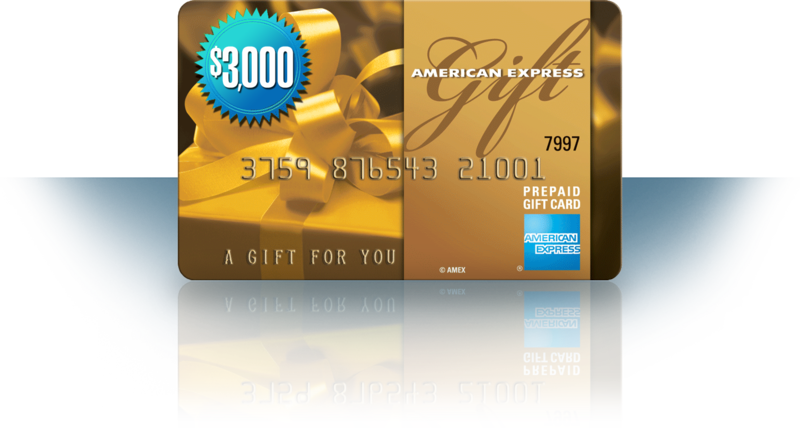 As with most deals, the merchant cash advance depends on the company offering it. With ARF Financial, there is no need to change your existing credit card processor, and there are no complicated reconciliations to perform. Our restaurant loans do not rely on a registered card platform or credit card transactions for re-payment. Therefore, you can implement any marketing program you desire to drive sales without the risk of double dipping. Don’t let other companies convert your existing customers into discount diners. If your restaurant business is growing, don’t pay back your cash advance with a percentage of your Mastercard and Visa sales! As a successful restaurateur, why undermine your business’ operating health by giving away your new increased sales? Also, unlike a merchant cash advance, the interest on our restaurant loans are tax deductible. This effectively lowers the total cost of your restaurant loan in the long run. An unsecured restaurant loan with ARF Financial is the preferred choice compared to a merchant cash advance. Rates are lower, payments are fixed, terms are longer and the interest you pay is tax deductible. Most importantly, as your sales increase, your payments remain fixed. That means you, the restaurant owner, reaps the benefits of increased sales, not the cash advance company. No matter what the future holds, ARF Financial is your best choice for restaurant loans and restaurant financing to capitalize on new business opportunities – often when conventional banks simply won’t consider it. By far the most affordable restaurant financing option, giving restaurateurs the ability to defer up to 50% of their loan principal into the future in favor of getting the lowest possible loan payments now. This type of restaurant loan gives business owners the flexibility they need to quickly resolve issues, take care of renovations and repair projects, replace broken or outdated equipment, or to simply have extra cash on hand. Flex Pay Loans are the most affordable form of restaurant financing, allowing owners to maximize their cash flow. Restaurants, like any other small business, are presented with many growth opportunities over the life of the business. However, few can take advantage of these high ROI business opportunities because of limited capital on hand. With a Flex Pay Loan, restaurant owners can defer the loan principal until they are ready to pay it back. The repayment options are very flexible, in that, the deferred principal can be repaid in a lump sum, refinanced or the terms can be extended. The goal of Flex Pay is to provide the restaurant financing needed now to grow the business while maintaining manageable loan payments, with no disruption to cash flow. ARF Financial has a no fee Line of Credit that allows restaurant owners to borrow the working capital they need, when they need it, and only pay for what they take. Our Line of Credit does not force borrowers to take all the capital at once. It allows them to have the cash available to take advantage of opportunities as they come or to fix problems as they arise without having to go through the financing and underwriting process all over again. With our line of credit, restaurant owners get 24-hour access to the line of credit and can withdraw funds as-needed and only pay the principal and interest on the amount they withdrew. ARF Financial offers lines of credit from $5000 to $750,000 with fixed weekly payments which allows business owners to confidently budget over time. With instant approval, and loan fundings in as little as 3 days, business owners have a restaurant financing option that is available 24 hours a day. This type of restaurant loan can help restaurant owners who are being forced to scale back their operations or cut otherwise necessary business activities because of a shortage in their cash flow. In the restaurant and hospitality industries, business owners experience seasonality often highlighted by periods of lower sales. These periods can vary in length and severity creating a cash flow headache when trying to prepare for their upcoming busy season. Working Capital Loans present the perfect opportunity to ride out the seasonality of any industry! The goal of a working capital loan is to provide the funds needed to ride out short-term challenges of seasonal sales thus ensuring long-term success. This type of restaurant loan carries no hidden fees and no payment surprises usually associated with merchant cash advances. With a streamlined approval process and minimal documentation required, approval can be determined instantly, and funding can occur in 3 days with no collateral needed! The interest on a working capital loan is tax deductible which further lowers the cost of your restaurant loan. Most business owners have never heard of a bridge loan. The name itself says exactly what it is intended to do. To help small business owners bridge the gap when they are waiting on traditional financing. Business owners are presented with many opportunities that can be time sensitive. However, traditional banks often have an underwriting process that may take a very long time. A bridge loan allows restaurant owners to capitalize on these growth opportunities with quick approvals maximize their return on investment opportunities. An ARF Financial bridge loan will provide the ‘gap’ financing restaurateurs need to proceed with their growth plans while working with their traditional bank for traditional funding sources like an SBA loan. Restaurant loans are based on several qualifying criteria. No single requirement will guarantee a restaurant loan. However, restaurant owners must be prepared to produce key documents about their business and other personal data to gain approval for the restaurant loan. Time in business is a key criterion to obtaining a restaurant loan. It is the number of years the restaurant has been operating. Even if your restaurant has positive cash flow and an excellent credit score, you still may not receive a restaurant loan if the time in business falls short of the financial institutions required minimum. At ARF, restaurant owners need to be in business for a minimum of three months in order to qualify for a restaurant loan. When it comes to qualifying for a restaurant loan, a checking account gives definitive evidence of the business’ cash flow, if your restaurant does not have one, it can create difficulty in assessing the creditworthiness. Believe it or not, the amount of the restaurant loan also affects the approval process. The amount of the loan will affect the repayment options available which will, in turn, affect the repayment amount. Restaurant owners with smaller cash flows may not qualify for the larger loan amounts which require larger payments. Please note we did not list your credit score as the first or most important qualifying criteria for a restaurant loan. While your personal credit can make or break your loan application, ARF Financial uses a unique mix of criteria working with your unique circumstances in order to make a final decision. We have also partnered with many banks to offer options for restaurant owners with less than perfect credit but good operating performance. At ARF Financial, we require businesses to generate a minimum, total annual income (cash and credit card) of $250,000 to qualify for a restaurant loan. ARF Financial, like most lenders, will also examine your debt-to-credit ratio in order to qualify for a restaurant loan. If your restaurant is carrying too much debt, we often use loan proceeds to pay off higher interest competitor loans. Your personal debt-to-credit ratio will also be examined as this is an avenue of opportunity if your business runs into cash flow issues. Unlike other lenders, ARF Financial does not dictate what the restaurant loan is used for. We do specify that all loan proceeds are used for business purposes only. There have been a few instances where a specific loan had dictates such as when used for competitor payoffs. Many lenders will not accept third party payoffs on their loans and cash advances. As such, ARF Financial will then grant the loan proceeds to the restaurant owner and include legal language to guarantee the loan proceeds are used to pay off those competitor loans only. This guarantees the restaurant’s cash flow is not compromised by having too many loans on the books. You’ve worked hard to get where you are and you’re not short on ideas to grow your restaurant. All you need is the capital that banks are reluctant to provide. Maybe you’ve considered opening a new location or renovating your existing facility. It could be purchasing new equipment or adding a patio or a bar to attract more customers. No matter what the future holds, ARF Financial is your best choice for capitalizing on new potential – often when conventional banks simply won’t consider it. 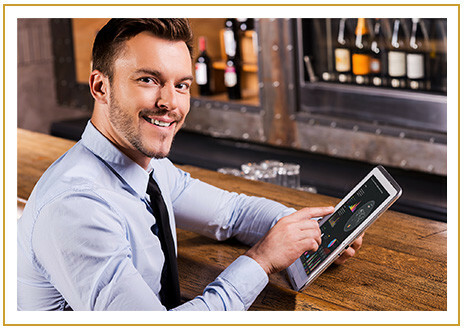 You can access between $5,000 and $750,000 for your restaurant without the need for collateral and with limited paperwork. ARF Financial has built relationships with banks around the country, so you can acquire a restaurant loan quickly without collateral and with limited paperwork. These are actual bank loans, not cash advances. Repayment has nothing to do with your credit card receipts. This means the interest you pay is tax deductible, rates are fixed, and you know the terms ahead of time. Our clients get the financing they need quickly, with manageable payments that won’t increase as revenue grows. With an ARF Financial restaurant loan, you actually are rewarded for your success and you keep more of what you earn. If you are a business owner looking for a restaurant loan with guaranteed rates, fixed terms and affordable payments, simply begin your instant online quote today. We have local loan consultants who are knowledgeable about your specific market and will work side-by-side with you throughout the process. Our online quote is free and there are no hard credit pulls so your credit will not be affected. Apply online today! Replace or repair equipment, overcome a financial hurdle, or seize an opportunity to grow with ARF Financial. Seize the next opportunity to expand your business while maximizing your return with flexible financing. Upgrade your space, refurbish your bar, improve your inventory, and more with our tavern financing options. Expand your menu, hire new staff, grow your operations, or move into a bigger space with loan terms that make sense. Explore a new menu item with a lender who is uniquely poised to help your business with the funding it needs. Keep your inventory unique and of the highest quality with the right funding in place at all times. Hire more staff, replace your equipment, and maintain food and supply costs with flexible funding options. Take advantage of new opportunities to grow your store or increase product offerings with a trusted lending partner. ARF Financial has secured exclusive restaurant financing relationships with banks across the country to help you obtain the funds you need to keep your business moving forward. Unlike other lenders, we go even further to ensure your business’ profitability over time with no-cost value add-ons for our cherished clients. 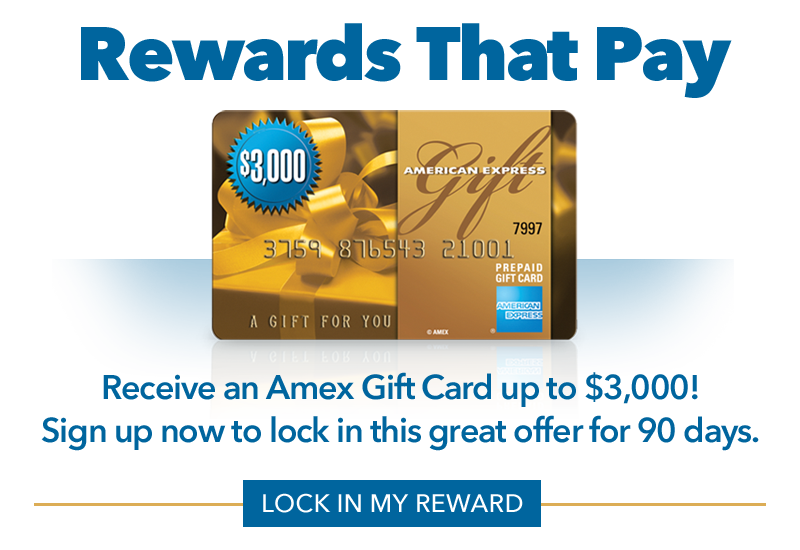 Through our New Client Rewards Program you can receive an Amex Gift Card up to $3,000* – after your loan funds – no strings attached!